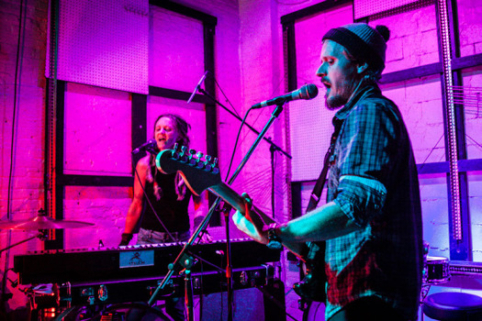 Jonathan Bix and Demitri Joannou are Blue Moon Harem, Boston based musicians with a long history in the city’s music scene. As a duo, the two decided to put together an album that was more focused on songcraft than technological wizardry yet which still maintained a rich, full sound. The result is “Finland,” a collection of highly personal songs that are supported by the likes of drummer Steve Hart who has previously worked with Aerosmith axeman Joe Perry, among others. Inspired by playing and singing each others songs at their own “porch parties”, Porch Party Mamas established Boston area musicians and singer/songwriters decided to combine their individual talents and create their own brand of Urban Folk, Country and Blues. All are seasoned players, each with their own pervasive individual music persona and critical accolades.